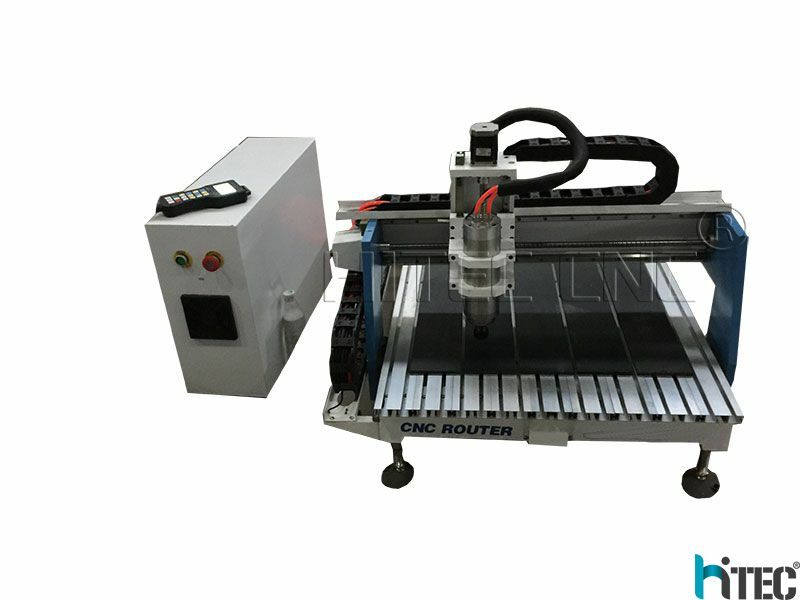 Hitec desktop advertising cnc router 6090 ready to run. 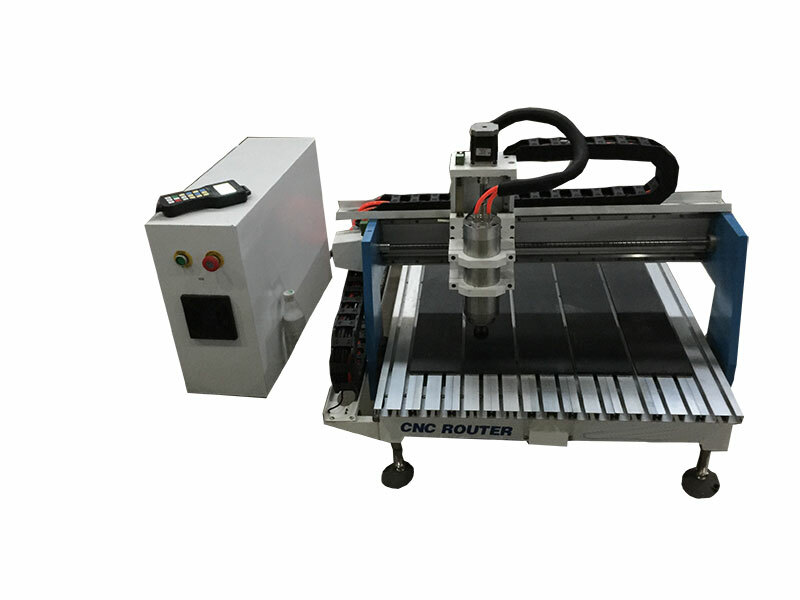 2.1.5kw China Top brand water cooling spindle, Best quality in china, high precision and less noise. 3.1.5kw China Top brand Fuling Inverter, More stable Performance, easy to operation. 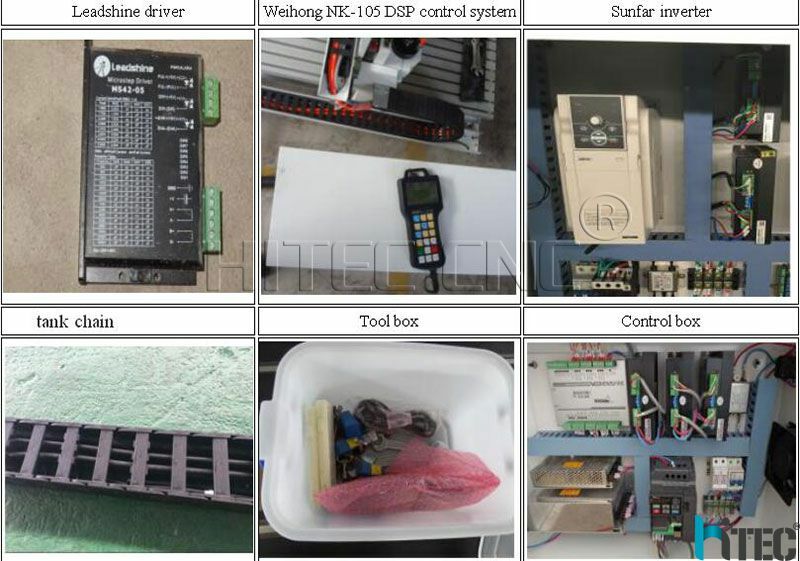 4.DSP NK105 control system humanized design can make it easy to operation. 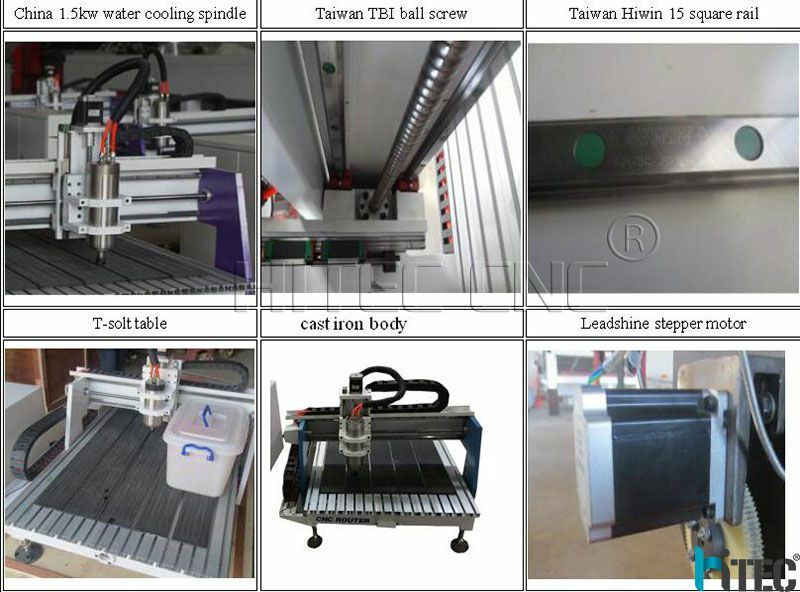 5.Taiwan TBI ball screw for Z axis, high precision, smooth transmission. 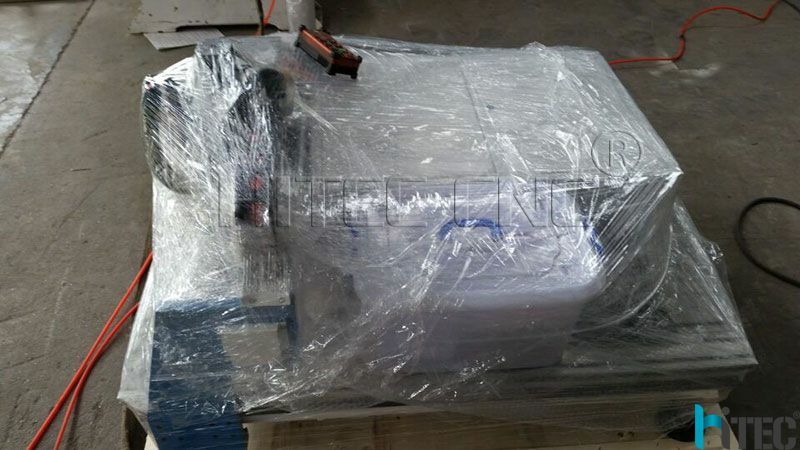 6.New china brand and big strength stepper motor. 7.High speed gantry moving type. 8.Mist cooling system,Reduce the temperature,Extend the working life. 11.Manual Lubrication system of all machine, just one press, easy to operation. 1. Bigger spindle--bigger power, large force. 3. 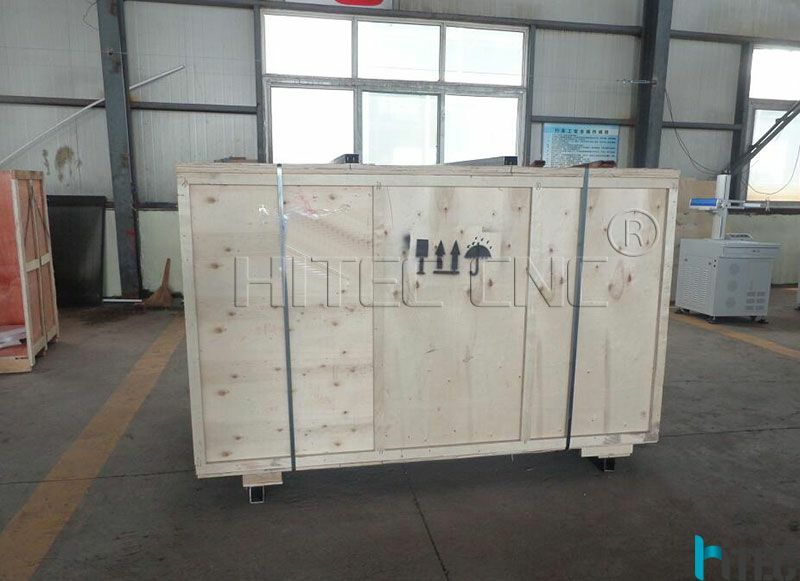 Stianless steel water tank--for hard materials engraving, such as glass, marble and so on. 4. Mach3 control system with USB interface.connect the computer directly,and can see the whole design when it working. 5. Vacuum table (contain vacuum pump and vacuum pipes)--For fixing the materials on the working table, especially for bigger working table. After added vacuum table, the voltage will need to be 3 phase/380V. 6. Dust collector (contain dust collector pump and dust collector pipes)--For sucking away the dusts, such as wood dusks and so on. 1. Wooden Indurstay: main used in redwood classical and antique furniture, wood carving, gifts wooden box, redwood jewelry boxes, ink-stone cutting, decorative products sculpture, fine jewelry carving. 2. Advertising: used in producing all models. 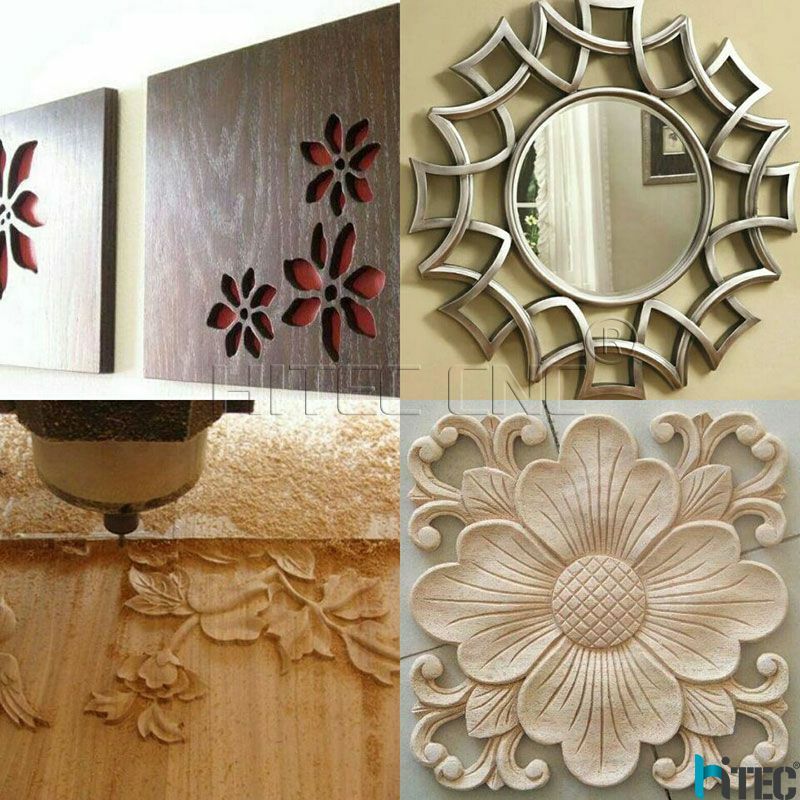 Such as company plate, sings, building models, emblem, badge, display panels, fair signs, building numbers, signs of decoration, furniture and other decoration. 3. 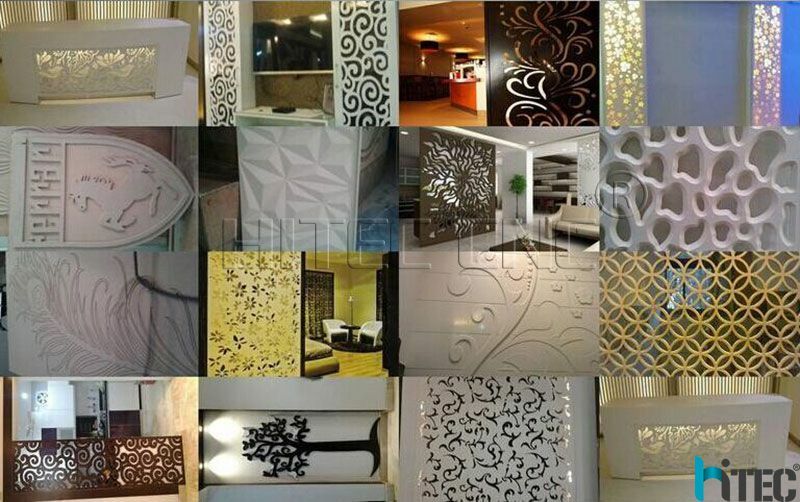 Others: the machine is also can be used in portraits, landscapes, calligraphy lettering, seal carving and other plane surface carving, basso-relieve.